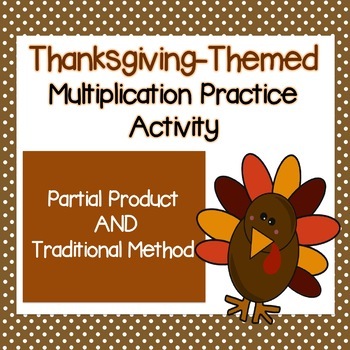 Use this Thanksgiving-themed multiplication practice activity to help your students practice multi-digit (2-digit by 2-digit, 3-digit by 1 digit, 2-digit by 1-digit) multiplication! 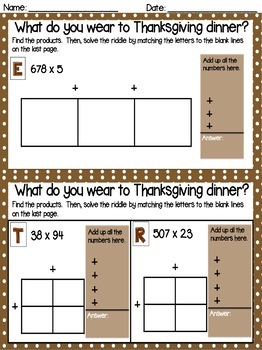 You can use this for homework, morning work, or for center work! 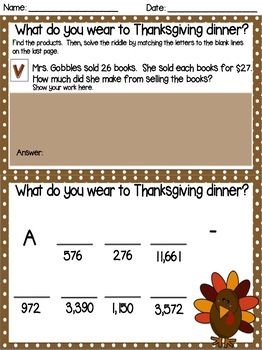 Students will have fun solving a Thanksgiving-themed riddle while practicing multi-digit multiplication problems. Please see the video preview to see what's included! Please let me know what you think by leaving me a comment below! Thank you!